A little party never hurt nobody – especially when that party is thrown by a rowdy bunch of leprechauns! Leprechauns have quite the reputation for drinking a little too much, dancing a little too much, and swindling a little too much – but hey – a leprechaun’s gotta do what a leprechaun’s gotta do! Even though they may not be the most likeable fellows around, they sure know how to have a good time – and everyone needs that friend in their group, right? 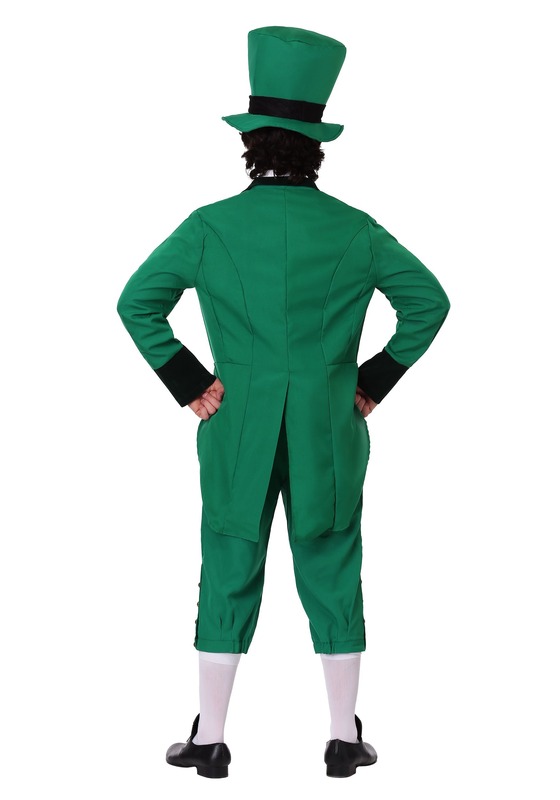 You'll be so happy you'll dance a jig in this adult leprechaun costume. 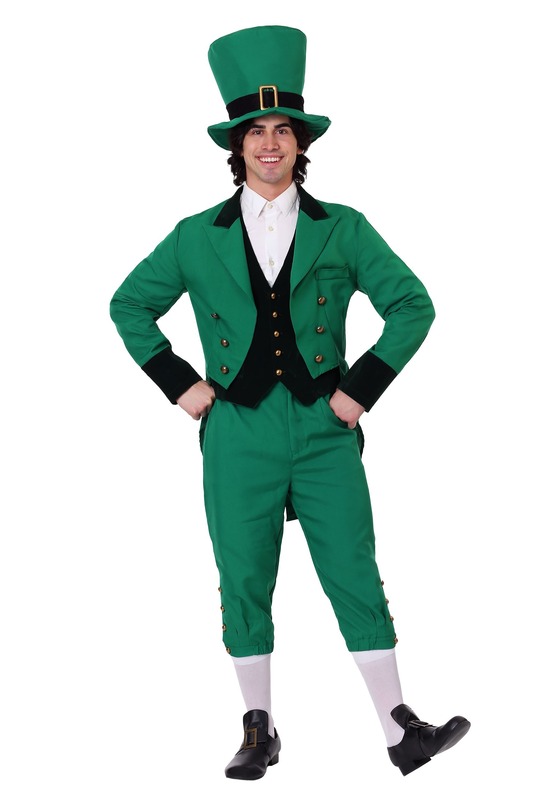 The colorful and festive outfit is perfect for drinking green beer, singing Danny Boy with your mates, or chasing after thieves who would steal your lucky charms! 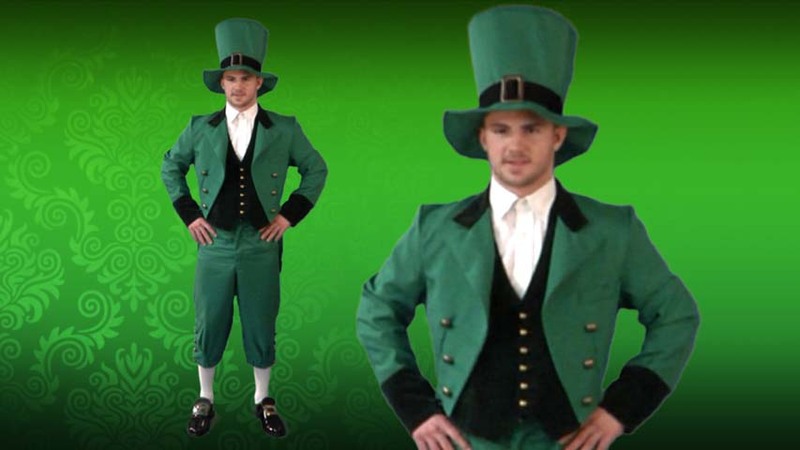 This high-quality leprechaun costume has everything you need for a hoppin’ good time this Halloween. The poplin cutaway tailcoat jacket is the star of the show with its velvet collar and cuffs and gold-tone decorative buttons. The costume also comes with a vest front that is made of velvet with a taffeta back. The vest fastens with gold-tone buttons in the front. A leprechaun isn’t a leprechaun without his short pants and top hat, so we’ve included those as well! The knee-length pants have a zipper and button fly along with an elastic back waistband for a comfortable fit. The foam top hat keeps its shape all night long and measures 8” tall and 21” around. Pair it up with some of our black buckle shoes for a great look!